I’ve just spent a week in Paradise. Okay, technically is was Costa Rica and my paradise was created by a genuinely loving but also savvy retreat center. I was fed fresh picked fruit, gently steered away from news and conventional entertainment, and encouraged to walk through lovely gardens and reflect. It worked and I did. I also knew I was in a paradise created for those with the cash and support system to allow them to go on this sort of retreat. The idea of having people less fortunate than I conspire to create an idyllic week for me would normally give me at least some first world heartburn, but it didn’t. Here’s why. I’m lucky enough to know more about this place and the people who run it. Human beings simply don’t come more compassionate. Employees are rewarded and respected and most have become family even if they didn’t start out that way. The degree of affection they have for each other is well beyond what any staff could be coached to fake. 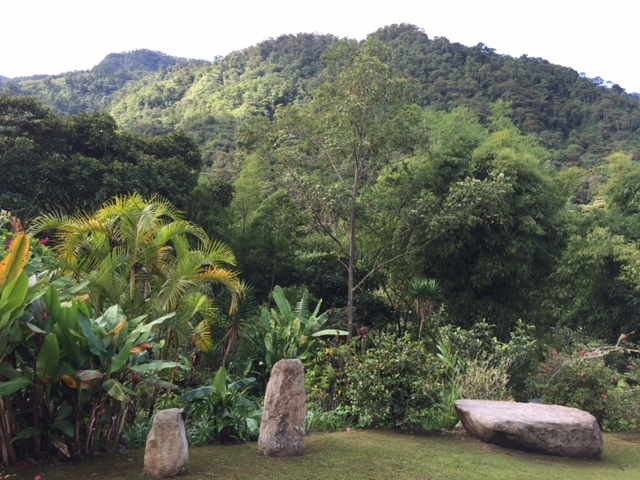 The center, known as La Montaña Azul, is dedicated to sustaining the local environment. Located along the Talari River southeast of San Jose, the retreat has allocated 95% of its land (116 acres) as a natural sanctuary to protect the river and its flora and fauna. In addition, its proceeds support the local schools, help maintain the roads, and allow the center to provide free classes for the community. It’s hard to argue that you are doing harm by forking over your hard earned vacation dollars to this oasis of love. At this particular visit, I wasn’t surprised to learn that the center has taken on a new cause. They wish to bring about world peace. One might argue they’ve been slowly working at that all along, but this new approach is rather specific. They have joined forces with an international group known as Peacebuilders. This amazing organization is striving to use restorative practices like meditation to keep young people out of the criminal justice system, to assist those of all ages in prisons and to further social justice. Though it has a presence in many countries, Peacebuilders is based out of Toronto and most active in Canada, where the organization began. 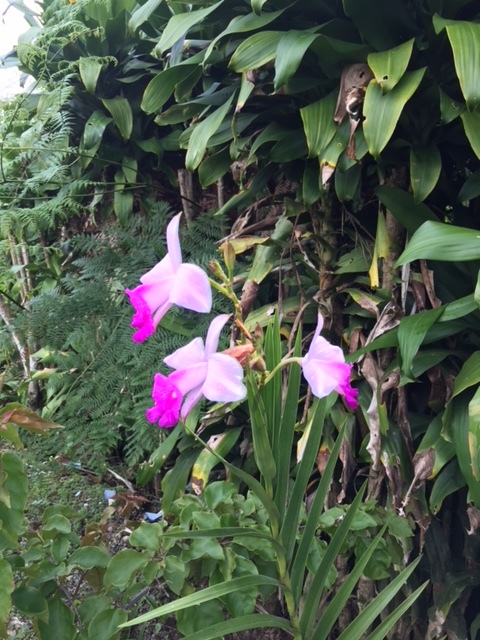 In Costa Rica, efforts are concentrated on the prison system. Inmates with sentences of forty or more years are trained in meditation, voluntarily spending hours a day in the program. The results are amazing. Recently, several such prisoners were certified to instruct others, as the program grows. 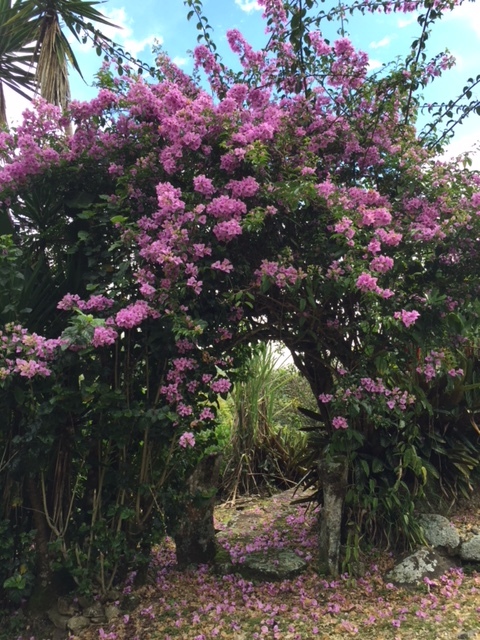 La Montaña Azul’s involvement began when the diminutive older woman who is manager and part owner of the retreat center walked, without guards, into a locked room filled with some of Costa Rica’s most hardened criminals. She laughs as she confesses she thought the guards were coming in behind her. The prisoners listened to her offer of an alternative, and today the retreat center provides instructors, resources and funds for the program. Guests at the retreat are asked to provide funds also. You know we all did. After a week in Paradise, world peace seems like a totally reasonable goal. I hope the feeling will last. The good news is that it looks like there is a fair amount of interest for 2016. From the Rotarians to meditations groups, from college campuses to religious institutions, a lot of people are holding gatherings to contemplate the concept of peace in their own ways. Here are some of my favorites, chosen to demonstrate the wide variety of approaches a war-weary planet is taking. 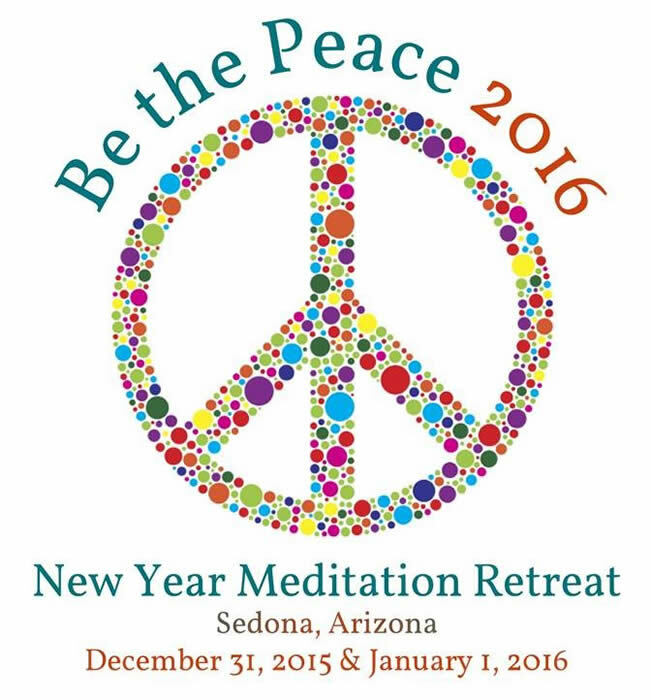 We all missed the 3nd Annual “Be the Peace Retreat” in Sedona Arizona held New Year’s Eve and Day, which offered an opportunity to come together in meditation with the “intention to create the peace we want to see in the world.” Presumably modeled after Gandhi’s famous advice to be the change that you wish to see in the world, attendees were treated to meditation training and live music to help them focus on peace. When Mohannad Mofid Alshalalda left his home in Palestine to attend an international school called United World College Maastricht, he had no plans to talk to Israelis, much less make friends with them. But when he met the school’s Israelis in person, a strange thing happened: he found that he could no longer hate them. It was one thing to hate the idea of an Israeli, and quite another to hate an Israeli when they were standing right in front of him.Over time, he and Ido David (Israel) began to talk about their differences in the Israeli-Palestinian conflict. While they could not reach a consensus on everything, they could reach a consensus on a surprising number of issues. Thus, with this inspiration in mind, they decided to plan a peace conference together. The conference grew. In six short months, we became a team of nearly twenty people, from Botswana to Hong Kong. You have got to love this story, and what these students are trying to do. I hope that their conference is a huge success. In only a few days the 2016 Rotary World Peace Conference will be held in Ontario, California, just outside of Los Angeles. My father was a Rotarian and, honestly, I thought they just got together for lunches. I was clearly mistaken. Today’s Rotarians are serious about world peace! January 15th and 16th, Rotarians from around the world will attempt to connect leaders and conflict resolution experts with solutions to create a culture of peace. Go Rotarians! The Kroc Institute at Notre Dame hosts an annual conference for students to present papers, posters, workshops, round table discussions, panel presentations, artwork or media displays to illustrate how their project, perspective, or approach influences the development of sustainable peace.This year’s conference,“Members of the Mosaic,” is scheduled for April 8–9, 2016, at the University of Notre Dame. I love this idea! It sounds like a science fair for college students, but with ideas for pathways to peace replacing the science experiments. Another entry from academia is the Waging Peace conference sponsored by the the Dale Center for the Study of War & Society at the University of Southern Mississippi. This conference will be held in New Orleans, LA September 8 – 10. Papers and panel discussions are being solicited on topics that include subjects as diverse as veterans and postwar politics, refugees and refugee resettlement, transitions to peace on the home front, violence inflicted by occupying forces, making sense of peace via the media and popular culture, memories as therapy, and postwar empowerment of previously enslaved, persecuted, or marginalized groups. The conference organizers add that they are “especially interested in panels that are comparative and that offer broad conclusions across time and place about the challenges of ‘Waging Peace’.” Wow. At the same time this is happening in New Orleans, a group called Build Peace will be holding its annual international conference in Zurich, Switzerland. Build Peace takes the innovative approach of bringing peace builders and technologists together to “share experience and ideas on using technology for peace building and conflict transformation.” According to their website, they will meet on September 9 – 11. World Peace Congress 2016 is scheduled for October in Waterford, Ireland. According to the website for the conference, its purpose is to “foster serious and immediate Dialog, in the hope of maintaining it on a continuing basis thereafter, between all the extant Paradigms/ World-Views/ Interests / Ideologies that have divided the Human World into disparate, and often feuding, Sectarian Groupings.” More information is coming. Finally, November will also see the 26th biennial conference of the Interna­tional Peace Research Association (IPRA) in Freetown, Sierra Leone. 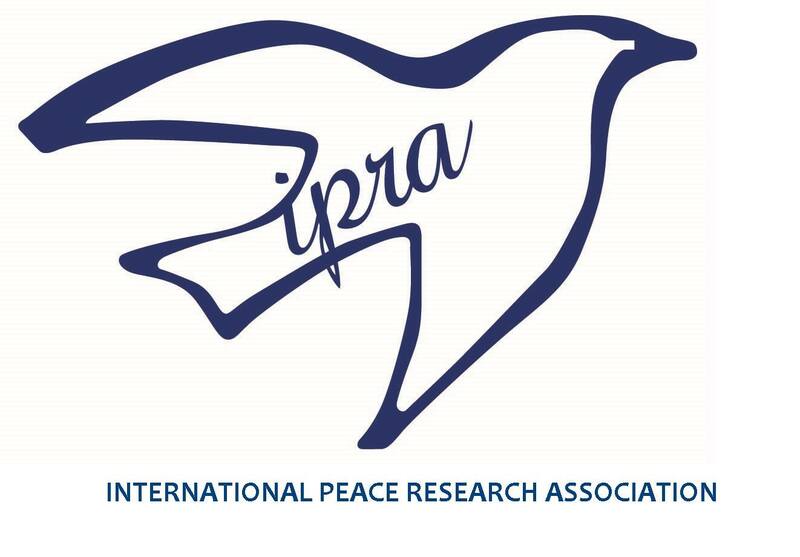 According to the IPRA website, it is the largest and most established global professional organization in the field of peace research. More details about the conference will be forthcoming soon. It’s not like we don’t have a lot of brain power and energy focused on various aspects of the problem. Is it enough to begin to make a difference? I think that depends on exactly what the real problem is. My next post will be a review of Rachel Maddow’s book “Drift”, and a look at why she thinks we find it so easy to go to war. Maybe the problem isn’t a lack of compassion and empathy at all. For more year end fun see some of the oddest predictions for 2016, catch My Best New Years Resolution Yet, read about whether it is an honor to be person of the year, and take a look at the top women of 2016.